The IRS is continuing to audit and enforce the ACA by distributing Letter 5699 for the 2016 filing year. Letter 5699 is being distributed to potentially non-compliant Applicable Large Employers (ALE) that have not filed. 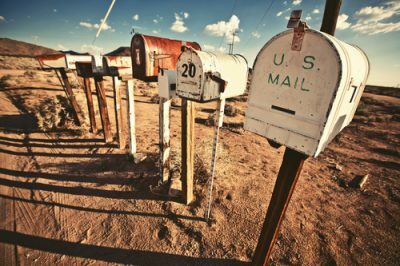 The IRS describes Letter 5699 as a “non-filing letter issued to employers advising our records show they may have been an Applicable Large Employer (ALE) and haven’t filed the required information returns (I.e. Forms 1094-C and 1095-C)”. This letter is an attempt by the IRS to determine if you were in fact an ALE who was required to file in the given tax year. The letter will list several questions with instructions to check the box next to the scenario that best applies. The letter also instructs employers to respond within 30 days from the date of the letter. Once the IRS receives your response to Letter 5699, they will use the information you provided to identify the ALEs that are in violation of IRS section 6056. It is reasonable to believe that penalties will be assessed to ALEs who were non-compliant. As you may know, the financial ramifications for non-filing are potentially steep. The penalty for filing incomplete or inaccurate information on submissions is $270 per required return, with a maximum penalty of $3,339,000 million per year. Even worse, if the IRS determines that an employer’s failure to file was due to “intentional disregard,” the penalty amount is $540 per form without limitations. These penalty amounts are based on the 2019 filing year. So if you have received a Letter 5699, it is important to act right away! Be sure to respond to Letter 5699 within the 30-day window. Also be sure to include any supporting documentation that may be requested with your response. If you have additional questions about the letter, employers can call the contact number listed on the top right corner of the letter. Lastly, if you are an employer who was non-compliant, it’s decision time. You will need to decide what level of risk you are willing to take and are you able to financially afford that level of risk. Keep in mind that Integrity Data is here to help you every step of the way. Please contact us if you have any questions about remaining compliant or if you need guidance on becoming compliant.